Geoffrey Leonard Cheshire, Baron Cheshire, was a highly decorated Royal Air Force (RAF) pilot and group captain during the Second World War, and a philanthropist. The commanding officer (CO) or sometimes, if the incumbent is a general officer, commanding general (CG), is the officer in command of a military unit. The commanding officer has ultimate authority over the unit, and is usually given wide latitude to run the unit as they see fit, within the bounds of military law. In this respect, commanding officers have significant responsibilities, duties, and powers. Other ranks (ORs) in the Royal Marines, British Army, Royal Air Force and in the armies and air forces of many other Commonwealth countries are those personnel who are not commissioned officers, usually including non-commissioned officers (NCOs). Colloquially, members of the other ranks are known as "rankers". In a navy, a rate, rating or bluejacket is a junior enlisted member of that navy who is not a warrant officer or commissioned officer. Depending on the country and navy that uses it, the exact term and the range of ranks that it refers to may vary. The Sutlej Medal was a campaign medal approved in 1846, for issue to officers and men of the British Army and Honourable East India Company who served in the Sutlej campaign of 1845-46. This medal was the first to use clasps to denote soldiers who fought in the major battles of the campaign. 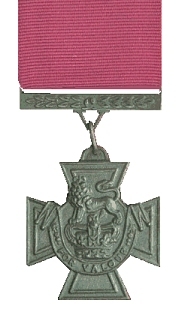 The India General Service Medal was a campaign medal approved on 1 March 1854, for issue to officers and men of the British and Indian armies. It was awarded for various minor military campaigns in India and nearby countries, between 1852 to 1895. The Naval General Service Medal (NGSM) was a campaign medal approved in 1847, and issued to officers and men of the Royal Navy in 1849. The final date for submitting claims was 1 May 1851. Admiral Thomas Bladen Capel was one of the members of the board that authorised the medal. A service star is a miniature bronze or silver five-pointed star ​3⁄16 inch in diameter that is authorized to be worn by members of the seven uniformed services of the United States on medals and ribbons to denote an additional award or service period. 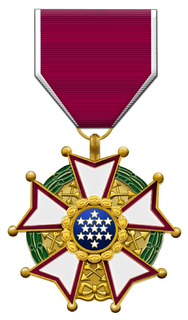 The service star may also be referred to as a campaign star or battle star depending on which award is authorized the star and the manner in which the device is used for the award. An arabic numeral device or numeral device sometimes called an "award numeral", is a United States Armed Forces service device that may be authorized for wear on specific service ribbons and suspension ribbons of medals. Arabic numeral devices are bronze or gold in color and are ​3⁄16 inch in height. A good conduct knot/loop is an award device of the Department of the Army which denotes additional decorations of the Army Good Conduct Medal. The Good Conduct Medal is one of the oldest military awards of the United States Armed Forces. The U.S. Navy's variant of the Good Conduct Medal was established in 1869, the Marine Corps version in 1896, the Coast Guard version in 1923, the Army version in 1941, and the Air Force version in 1963; the Air Force Good Conduct Medal was temporarily discontinued from February 2006 to February 2009, followed by its subsequent reinstatement. The World War I Victory Medal was a United States World War I service medal designed by James Earle Fraser. The Citation Star was a Department of War personal valor decoration issued as a ribbon device which was first established by the United States Congress on July 9, 1918. When awarded, a 3⁄16-inch (4.8 mm) silver star was placed on the suspension ribbon and service ribbon of the World War I Victory Medal to denote a Citation (certificate) for "Gallantry In Action" was awarded to a soldier, or to a marine or attached to the Army's Second Division, American Expeditionary Forces. The Citation Star was replaced in 1932 with the introduction of the Silver Star Medal. The Navy Commendation Star or Navy Letter of Commendation Star was a Department of the Navy personal military decoration issued as ribbon device which was authorized in 1918 to be "placed" on the World War I Victory Medal. A ​3⁄16 inch silver star was issued to any service member of the Navy and Marine Corps who had been cited and commended by the Secretary of the Navy for performance of duty. Among the recipients of the Commendation Star was future Fleet Admiral Chester W. Nimitz. The Africa Star is a military campaign medal, instituted by the United Kingdom on 8 July 1943 for award to British and Commonwealth forces who served in North Africa between 10 June 1940 and 12 May 1943 during the Second World War. 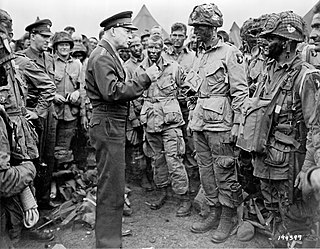 The Army of Occupation Medal is a military award of the United States military which was established by the United States War Department on 5 April 1946. The medal was created in the aftermath of the Second World War to recognize those who had performed occupation service in either Germany, Italy, Austria, or Japan. The original Army of Occupation Medal was intended only for members of the United States Army, but was expanded in 1948 to encompass the United States Air Force shortly after that service's creation. The Navy and Marine equivalent of the Army of Occupation Medal is the Navy Occupation Service Medal. A rosette is a small, circular device that is typically presented with a medal. The rosettes are either worn on the medal to denote a higher rank, or for situations where wearing the medal is deemed inappropriate, such as on a suit. Rosettes are issued in nations such as Belgium, France, Italy and Japan. Rosettes are also sometimes called bowknots, due to their shape. Moreover, a large rosette is sometimes pinned onto the ribbon which suspends a medal, typically the Officer 's badge of certain orders of chivalry. The Atlantic Star is a military campaign medal, instituted by the United Kingdom in May 1945 for award to British Commonwealth forces who took part in the Battle of the Atlantic, the longest continuous campaign of the Second World War. The Air Crew Europe Star is a military campaign medal, instituted by the United Kingdom in May 1945 for award to British and Commonwealth air crews who participated in operational flights over Europe from bases in the United Kingdom during the Second World War. The Emergency Reserve Decoration (ERD) was a British military decoration for long service, instituted on 17 November 1952 and given for service up to 1967. The Cape of Good Hope General Service Medal is a British campaign medal which was awarded to members of the Cape Colonial Forces who took part in three campaigns in and around the Cape of Good Hope, in Basutoland in 1880–1881, in Transkei in 1880–1881 and in Bechuanaland in 1896–1897. The Army Gold Medal (1808–1814), also known as the Peninsular Gold Medal, with an accompanying Gold Cross, was a British campaign medal awarded in recognition of field and general officers' successful commands in campaigns, predominantly the Peninsular War. It was not a general medal, since it was issued only to officers whose status was no less than that of battalion commander or equivalent.